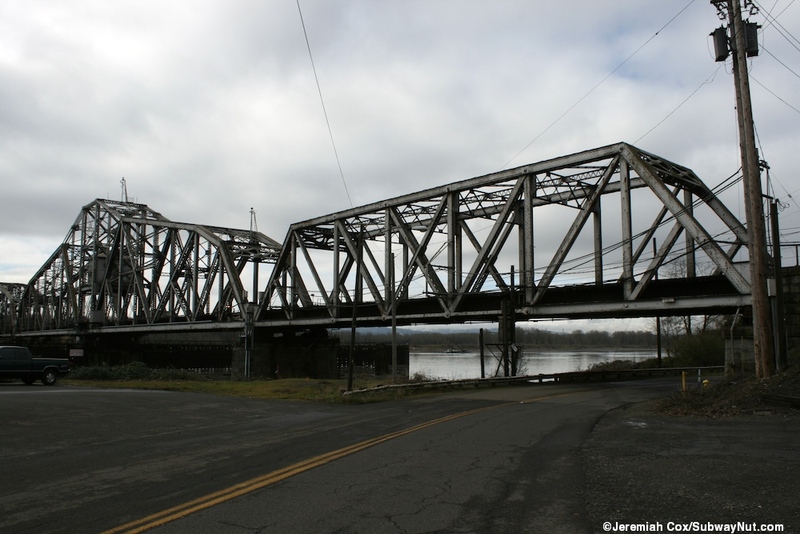 Vancouver, Washington Amtrak's Station is located just north of the Burlington Northern Railroad Bridge 9.6 that crosses the Columbia River, a truss bridge completed in 1908 and was the first to be built across the lower Columbia. 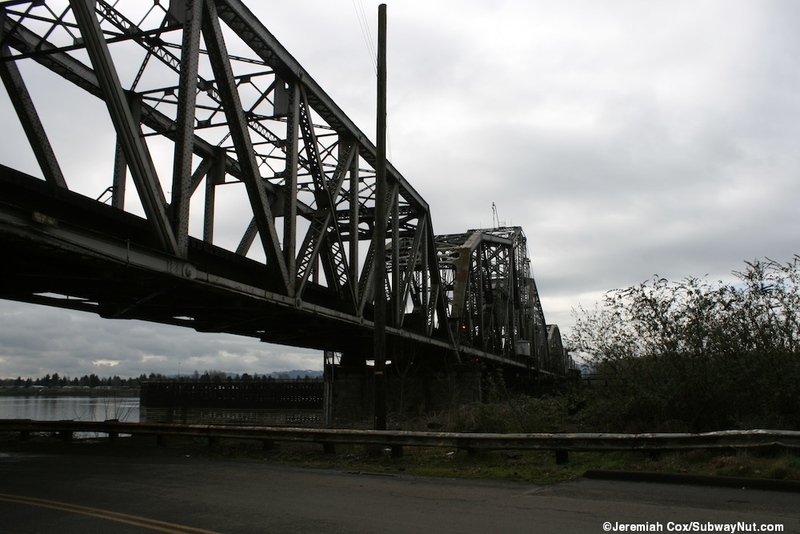 This two track bridge carries the Amtrak Cascades, Coast Starlight, and Empire Builder out of Oregon and into the State of Washington. 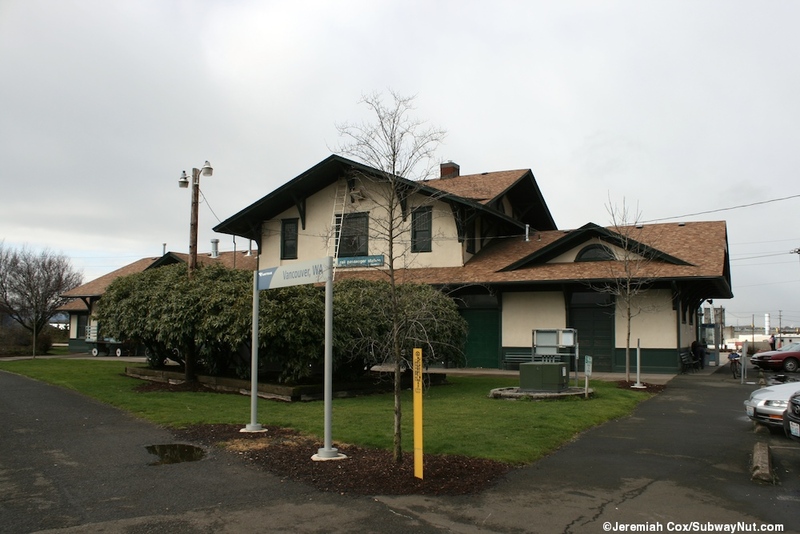 Service has never been discontinued under Amtrak with at least three daily trains (the Coast Starlight, Pioneer, and Mount Rainer (a regional single daily precursor to Amtrak Cascades) stopping in the station running between Portland and Seattle. 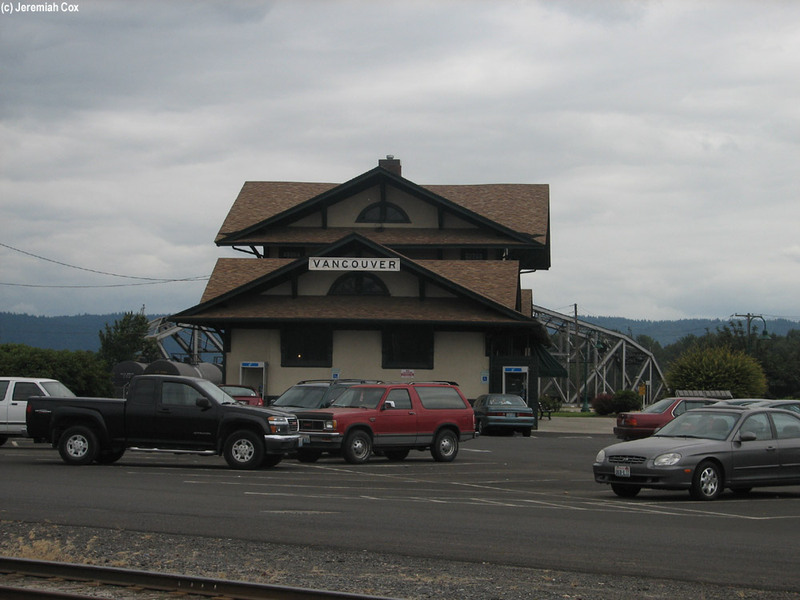 Today there are four daily Amtrak Cascades departures to Seattle (two run to Eugene, one to the other Vancouver, BC, Canada) plus the Empire Builder that began stopping with the inauguration of its Portland section in October 1981 (this section of the train was historically operated until the beginning of Amtrak), at its special platform. 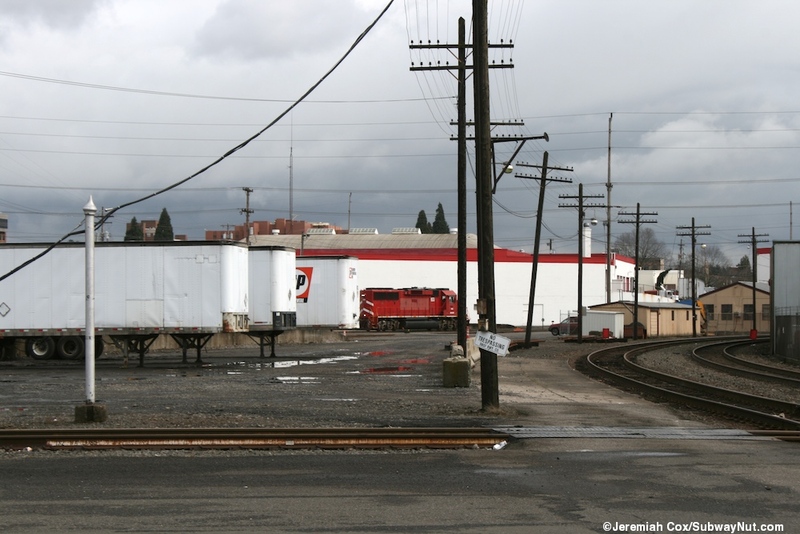 The station is located on the southern end of a BNSF railway yard with the depot at the SW corner of a triangle of tracks formed by the branch used by the Portland section of the Empire Builder to merge off the main north-south route to follow the Columbia River to Pasco and Spokane. 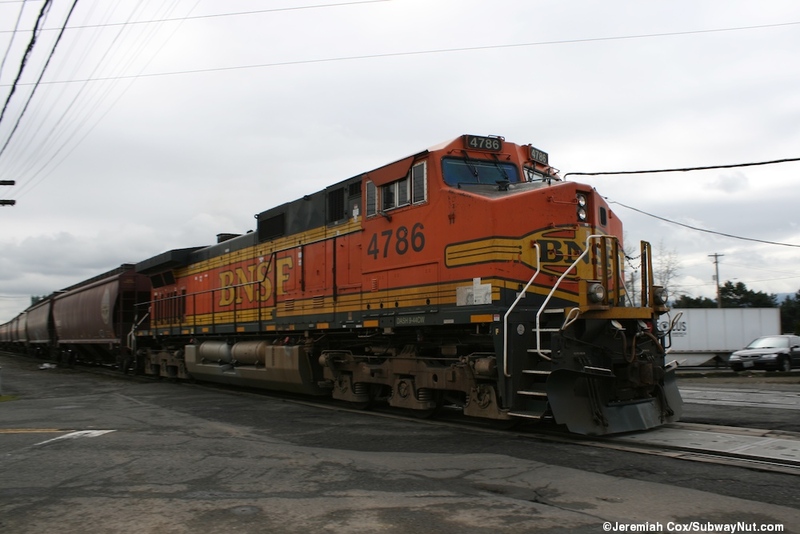 All passengers must cross a set of railroad tracks to reach the station that frequently have slow moving freight trains blocking them at grade crossings. 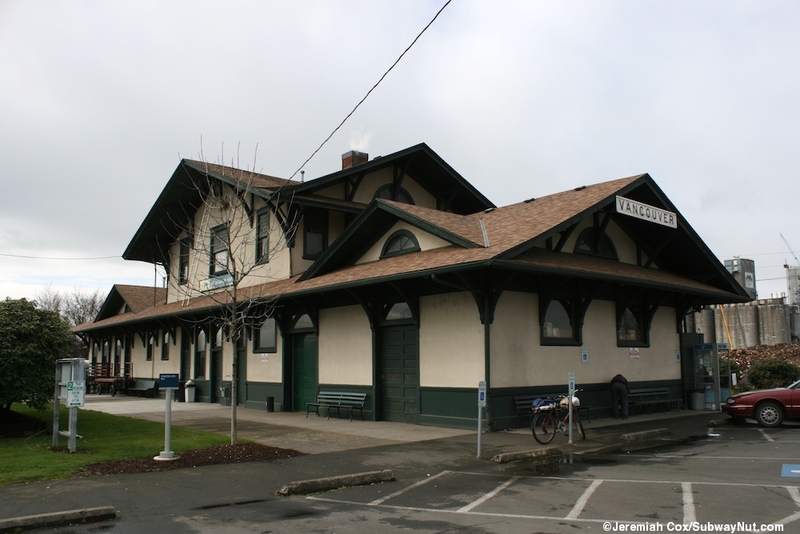 The station, located just beyond the junction from the Empire Builder has to have two platforms: The main long one runs north-south gently curving and serves Amtrak Cascades trains and the Coast Starlight. 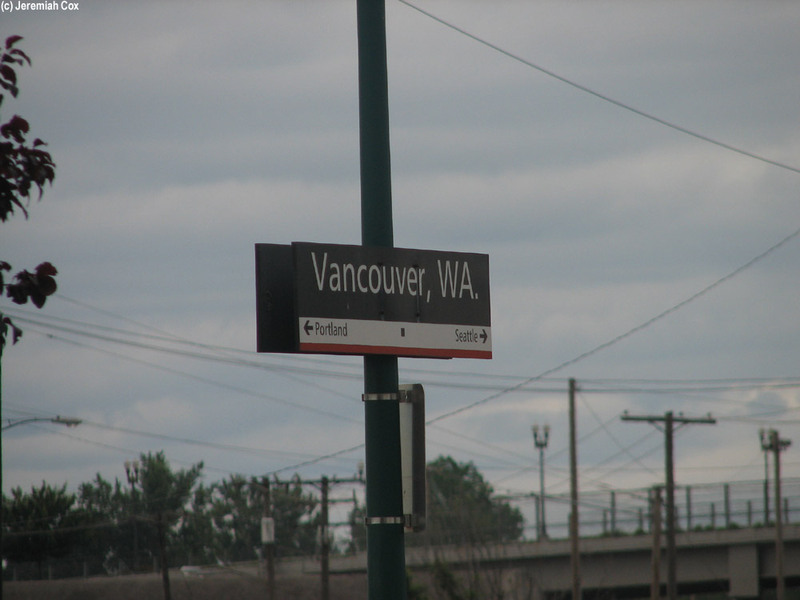 It has a tactile warning strip, some of the signage is modern recently installed sings, others are the slightly older name above and arrows pointing towards the destinations of Seattle and Portland above a red arrow beneath. 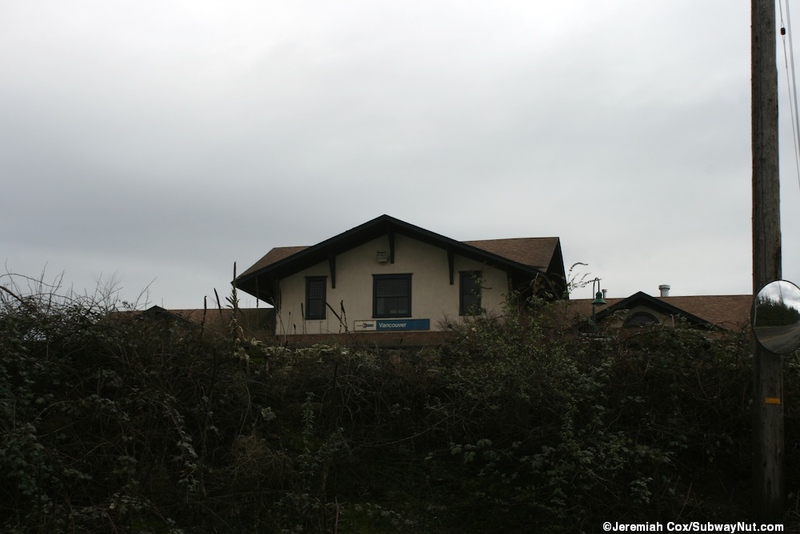 At each end of the platform is a plastic bus shelter with a domed roof and a bench inside. The southern end of this platform also has a wheelchair lift enclosure installed, but when I was there the mobile-lift designed to be inside it was just locked to the outside of the platform. 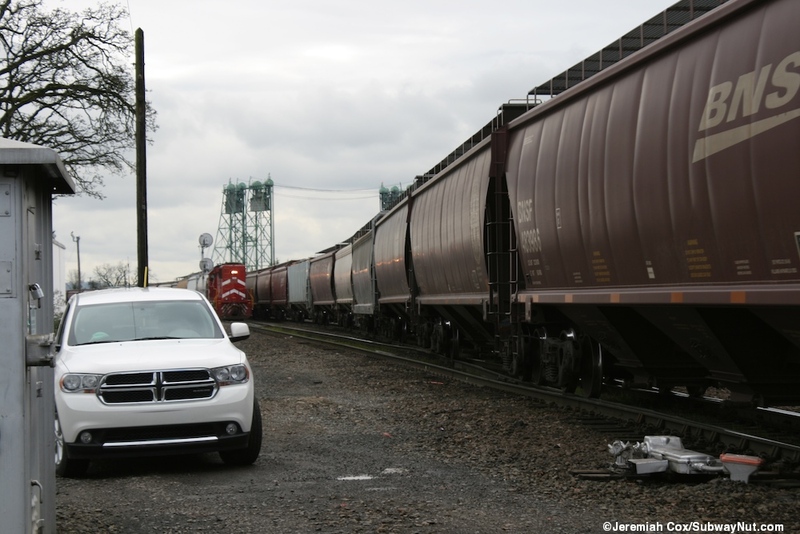 Grade crossings lead to a second, lower platform to allow a train to be boarded on the second track in the station. 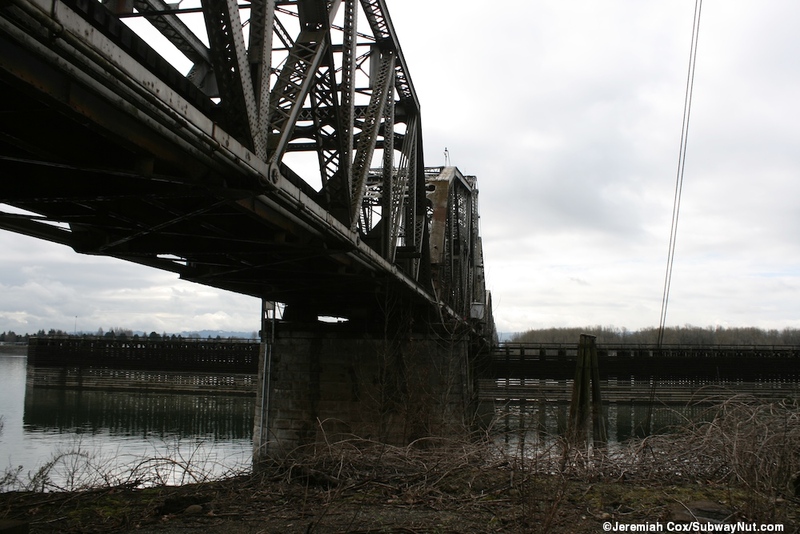 The second platform runs along the southern edge of the station, and is much shorter. 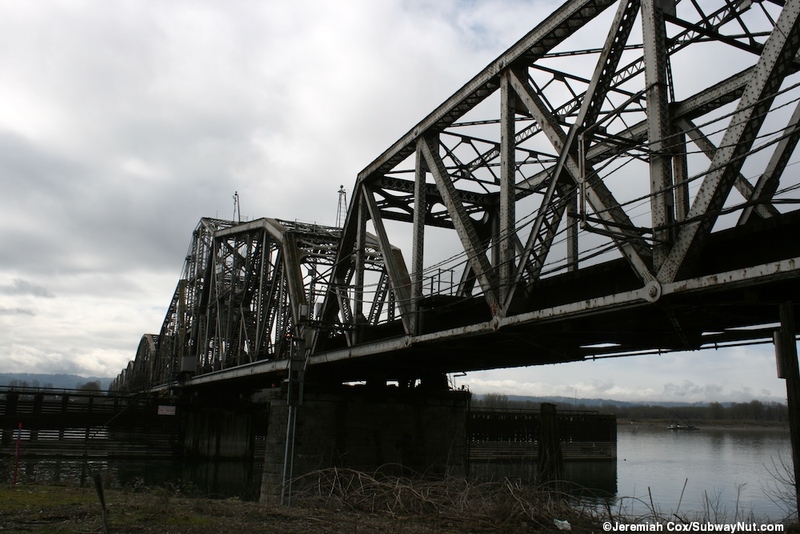 It is used by the Portland section of the Empire Builder whose four car consist is suited fine for the platform's shortness. 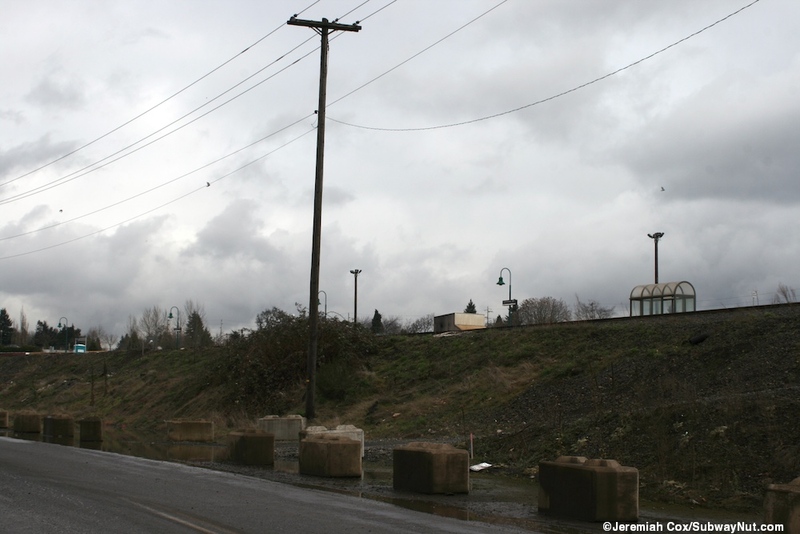 This simple asphalt platform lacks a tactile warning strip, and has a second track crossing to another strip of asphalt to allow a train to enter and stop on the opposite track. 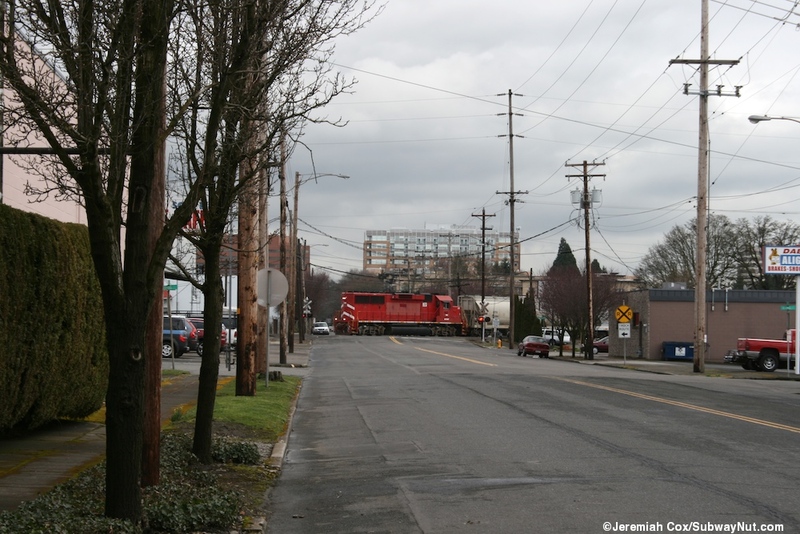 It is nestled between the track junction and the grade crossing of Hill Street. 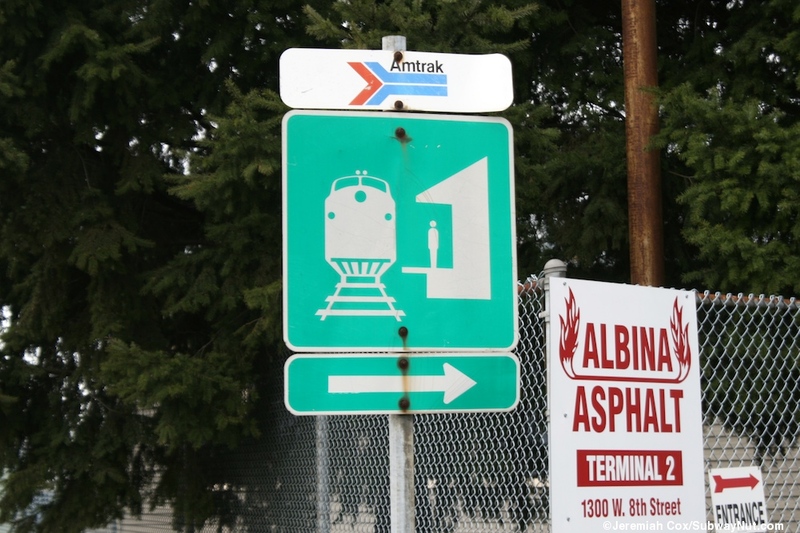 It has two Amtrak signs to tell Empire Builder passengers where they have arrived. 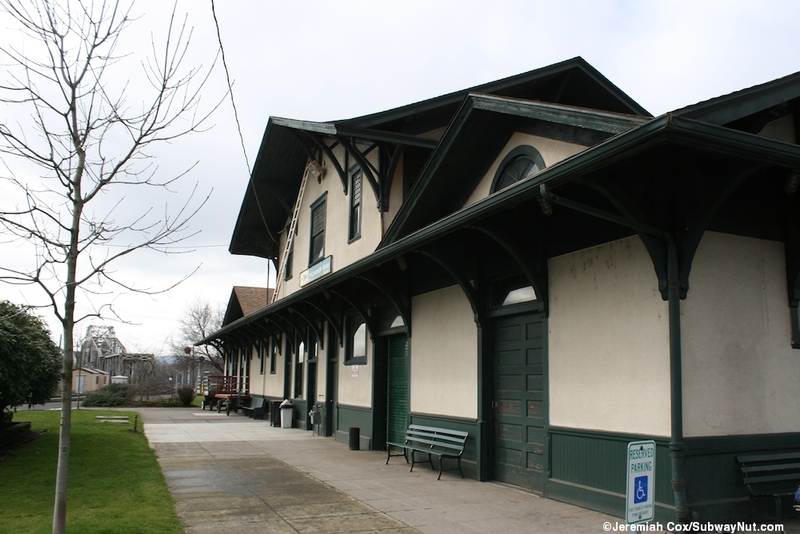 Nestled between the two platforms is the historic depot was built at the same time as the bridge, opening in 1908 and is a two story building with tall gabled roofs and green trim on cream colored walls. Inside is an open ticket office (the agents are not behind glass) behind a silver Amtrak logo. 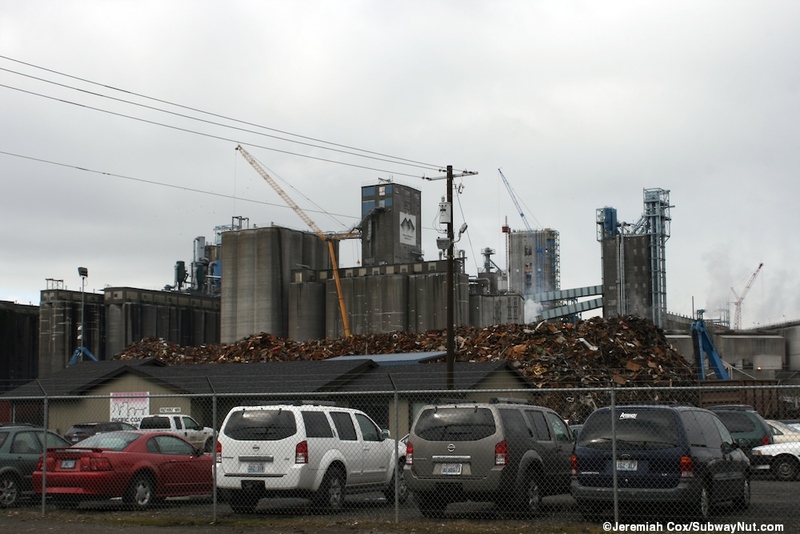 There are restrooms and a few vending machines. There is also a felt letter board listing departures that is a bit unique, listing three, Eastbound, Northbound and Southbound directions of travel because of the junction at the station. The wooden benches in the depot are supposed to look historical but the wood looks too new, not decent replicas. 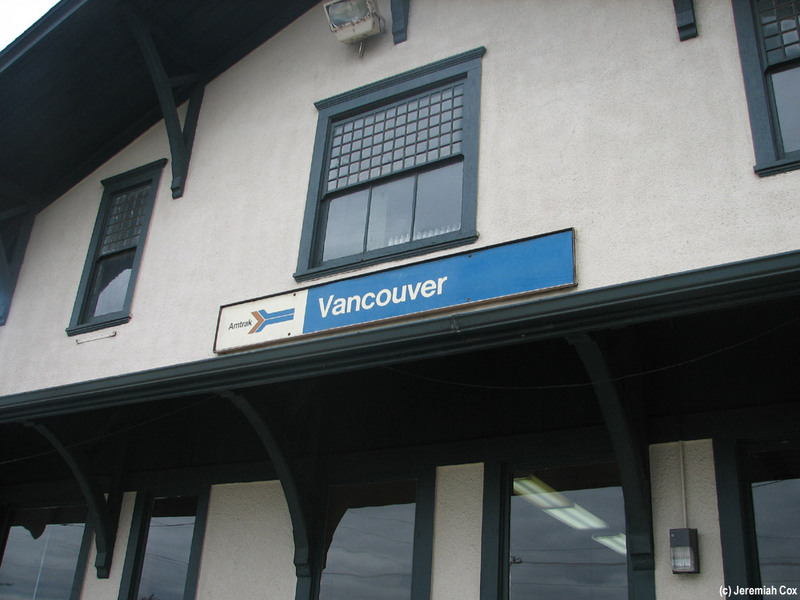 Outside of the depot are two old pointless arrow logos, one north of it facing the small parking lot shared with BNSF (that has its own more modern building on the northern edge of the triangle), and one old Vancouver sign facing the newer one along the platform. There are also a few old white text on black signs on the depot. 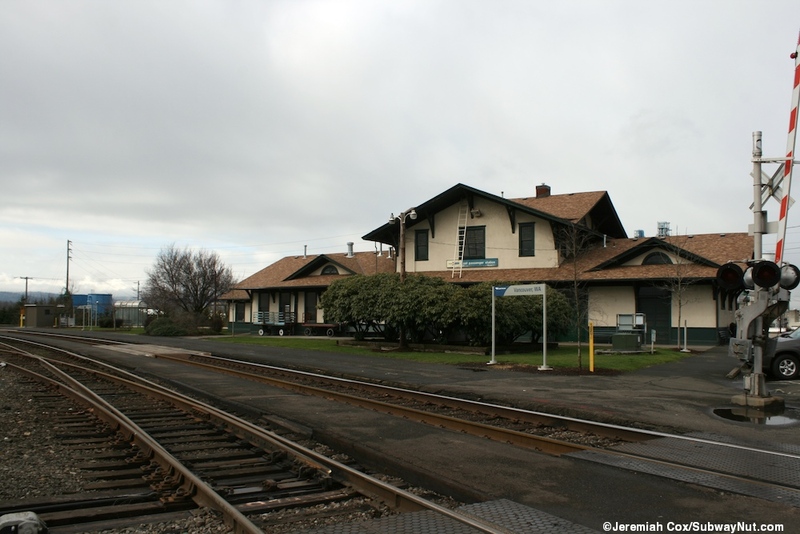 The old historic station house at Vancouver, WA in the distance from the quite large station parking lot. 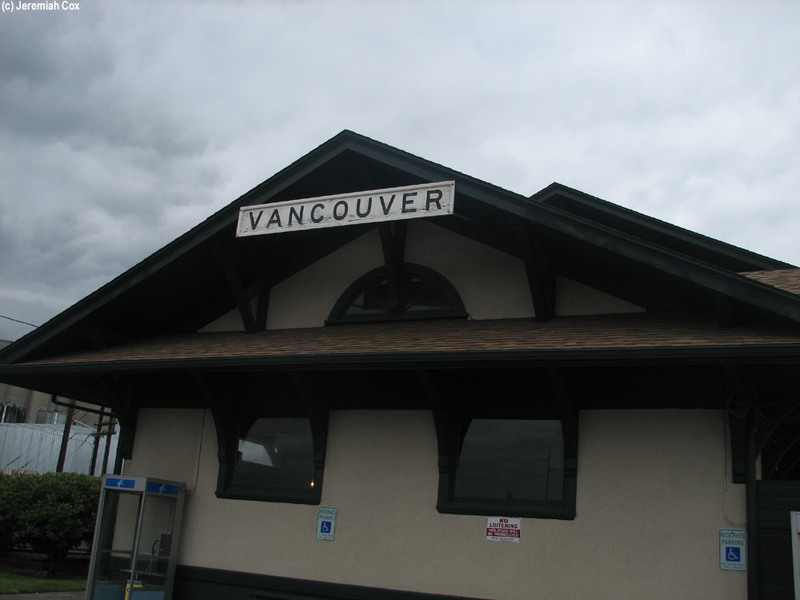 A old age Amtrak 'Vancouver' Station hanging on the overhang of the station house at the platform at Vancouver.